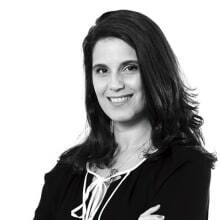 Brazil has a vast set of environmental laws regulating activities of project developers. This special care for the environment is owing to the fact that the environment in Brazil is considered to be as a common asset, essential for good quality of life. The Federal Constitution of 1988, Article 225, mandates society to maintain an environment conducive to the healthy life of this and future generations. With the sustainable development principle in mind, project developers must respect the environmental laws and treaties in force in Brazil, under sanctions of criminal and administrative liability, notwithstanding the obligation to repair or indemnify the environmental damage caused. One of the most important and most used mechanisms to achieve sustainable development is the environmental licensing of polluting or potentially polluting activities. The issuance of an environmental licence is mandatory for the construction, installation, enlargement, modification and operation of potentially polluting activities or facilities. Licences are always valid for a specific term and their effectiveness depends on compliance with the technical conditions previously established, which may vary according to the activity and the facility. The Federal Constitution, enacted in 1988, has followed the guidelines established by the National Environmental Policy, outlined in Federal Law No. 6,938/81. The National Environmental Policy aims to preserve, improve and recover the environmental quality conducive to life, aiming to ensure the conditions for socio-economic development, the interests of national security and the protection of the dignity of human life. Also worth mentioning are Federal Law No. 9,605/1998, which provides for criminal and administrative sanctions derived from conducts and activities harmful to the environment, and Federal Decree No. 6,514/2008, which provides for administrative infractions and sanctions for the environment and establishes the federal administrative process for the determination of these infractions. States that do not have their own standard for the determination of infractions and sanctions use the federal regulation in a subsidiary manner. Another important piece of legislation is Federal Law No. 12,651/2012, which establishes the Brazilian Forestry Code. This Law provides general rules on vegetation protection, specially protected areas (such as Permanent Preservation Areas and Legal Reserve Areas), forest exploitation, supply of forest raw material, control of the origin of forest products, and control and prevention of forest fires, and also provides economic and financial instruments to achieve its preservation objectives. Regarding specially protected areas, Federal Law No. 9,985/2000 established the National System of Nature Conservation Units and set criteria and rules for the creation, implementation and management of these conservation units. The proposal, implementation, management, protection, supervision and monitoring of federal conservation units is a duty of the Chico Mendes Institute of Biodiversity Conservation. Other national policy acts, such as the National Water Resources Policy (Federal Law No. 9,433/1997), the National Policy on Solid Waste (Federal Law No. 12,305/2010), the National Policy on Climate Change (Federal Law No. 12,187/2009), the Regulatory Framework on Biodiversity (Federal Law No. 13,123/2015, regulated by Federal Decree No. 8,772/2016) and the National Biofuels Policy (Federal Law No. 13,576/2017) are also important and will be further discussed below. According to Supplementary Law No. 140/2011, the environmental agency entitled to issue licences will also be responsible for inspection, supervision and application of administrative penalties. The Supplementary Law also establishes that the federal environmental agency, the Brazilian Institute of the Environment and Renewable Natural Resources (IBAMA), has the authority to conduct environmental licensing proceedings in a number of cases described therein, such as offshore activities and nuclear power plants, among many others, and is also responsible for the inspection and sanctioning of the environmentally harmful aspects of these activities or those that violate environmental laws. Municipal environmental agencies have jurisdiction to license facilities and activities limited to producing local impacts that may occur within the municipalities. Therefore, state environmental agencies have general jurisdiction over the environmental licensing of facilities and activities not encompassed by federal or municipal jurisdictions. Supplementary Law No. 140/2011 was later regulated by Federal Decree No. 8,437/2015, which introduced additional types of activities and facilities for which the environmental licensing will be conducted by IBAMA. The environmental licensing proceeding in Brazil, whenever the project affects indigenous areas, may also involve the participation of the National Indigenous Foundation. Respectively, the National Historic and Artistic Heritage Institute may be involved when archaeological or cultural assets are affected and the Palmares Cultural Foundation may be consulted when maroon communities are affected. Regarding water resources considered as being of federal scope, the National Water Agency (ANA) is responsible for issuing grants for the use of water resources and for ensuring the correct use and maintenance of quality of federal water resources. In addition to the environmental agencies, federal and state public prosecutor's offices have a prominent role in the development of environmental matters, overseeing compliance with legislation by means of civil investigations, public class actions and criminal lawsuits. Any incident or violation of environmental laws may potentially give rise to civil, administrative and criminal liabilities. The federal and state public prosecutor's offices are the main (in the case of criminal lawsuits, they are the only) entities with standing to file lawsuits to secure the environment or restore environmental damage. In this regard, a public civil action is the lawsuit used in the civil sphere to force individuals and legal entities (companies and even environmental agencies, in the case of omission as to the duty to supervise) to compensate or remediate damage caused to the environment and third parties, regardless of the existence of fault. Despite the majority action of the federal and state public prosecutor's offices in these cases, Federal Law No. 7,347/1985, or the Public Civil Action Law, lists several entities with standing to file public civil actions. Directors and officers of a company that caused environmental damage may be held civilly liable when acting with proven negligence or wilful misconduct, and when they were also shareholders. Aesthetic harm to public assets is also considered environmental damage. Indemnification (or compensation) and repair of environmental damage are distinct concepts, but both are applicable to the mitigation of environmental damage. Repair is understood as the act of recovering the environment to its original state, prior to the damage. Indemnifying is the act of financially compensating a harm, when the damage is such that the environment cannot be recovered to its original state. The fact that a wrongdoer's activity is permitted by an environmental licence does not exclude the obligation to repair or compensate damage, that is, the lawfulness of the activity does not preclude the right of legitimate parties to request indemnification or compensation. According to a well-established trend in Brazilian case law and mainstream literature, the compensation or indemnification of an environmental damage is not subject to statutes of limitation. Also, according to Federal Law No. 9,605/1998, the piercing of the corporate veil will be admitted whenever the corporate entity becomes an obstacle to the recovery of environmental damages, including (but not limited to) when its financial incapacity for such recovery is proven. In the criminal sphere, the entity with standing to file a criminal lawsuit for environmental violations is the public prosecutor's office, federal or state. The applicable penalties shall be related to restricting rights, such as temporary suspension of rights, partial or total suspension of activities, and it can also lead to fines and prohibitions on executing contracts with government as well as fines for legal entities, detention or imprisonment for individuals, among others. Officers, directors, managers or agents of a legal entity may be subject to criminal penalties, such as confinement or imprisonment. However, case law has also established that solely the condition of being a director or officer does not by itself authorise the initiation of an environmental criminal investigation, as an element of wilful misconduct or gross negligence is necessary. The administrative liability regime establishes that an action or omission may be punishable. At the administrative level, the environmental agencies responsible for the licensing of the activity are also responsible for sanctions applied for non-compliance with environmental legislation; however, in practice, despite the regime implemented by Supplementary Law No. 140/2011, to date, there are still several cases of one environmental agency interfering with the other's jurisdiction. The possible penalties for administrative infractions are: warnings; fines (in the federal level, ranging from 50 up to 50 million reais); suspension of sale and manufacture of products; and partial or total suspension of activities, among others. The administrative infractions on the federal level are discussed in Federal Law No. 6,514/2008; as mentioned in Section II. Unlike the civil liability regime, which provides for strict, joint and several liability, an element of negligence or wrongful misconduct is essential to configure a criminal or administrative violation, although some state courts and environmental agencies remain wrongfully applying the civil liability regime to administrative infractions. Nonetheless, the Brazilian Superior Court of Justice has already determined that intent or gross negligence are required to trigger administrative liability. 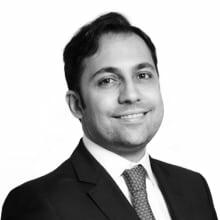 Over the past few years, we have noticed the need for specialisation in the many peculiarities of litigation issues applicable to environmental matters. We came to acknowledge that experience in leading and complex cases usually grants lawyers the expertise to support their clients with specifically tailored services according to their needs. As environmental issues are unique and dynamic, an understanding of traditional dispute resolution matters is not enough to assist clients in connection with their businesses. Court trends are repeatedly pointing out that formal issues are not as important as they used to be, which is the reason any conflict resolution must take into consideration the material grounds of the case (merit). Finally, we foresee that environmental litigation will evolve in Brazil as a more efficient system of conflict resolution is developed, mainly for those cases involving multiple stakeholders – either as claimants or defendants. 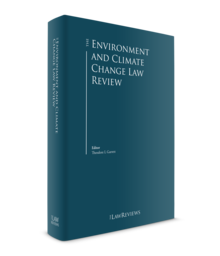 In many cases, the Public Action Law, established in 1985, has not been shown as an effective legal remedy to address certain environmental complex conflicts. Thus, alternative methods such as mediation shall be taken into consideration by the competent authorities (prosecutors and judges) to address complex social, economic and environmental matters. In the federal sphere, there is no obligation established in the law that requires the immediate communication to an environmental agency on environmental violations. Nevertheless, it is usually recommended to inform the existence of any damage or violation, as cooperation with the environmental agency is considered as an extenuating circumstance in the application of criminal or administrative sanctions. Federal Law No. 9,605/1998 establishes that the cooperation with the agents in charge of environmental monitoring and control should mitigate the administrative penalty and the penalty imposed in criminal matters. Nevertheless, in cases of oil spills, entrepreneurs are obliged to immediately inform the competent authorities. In addition, pursuant to National Council for the Environment (CONAMA) Resolution No. 420/2009, the existence of risks to human health by means of a contaminated area obliges entrepreneurs to inform legitimate authorities. Although not nationally consolidated, in the state of São Paulo, for instance, State Decree No. 59,263/2013, which provides guidelines and procedures for the protection of soil quality and the management of contaminated areas, provides that, from the moment that evidence or suspicions of contamination are identified, legal representatives must immediately notify the state environmental agency and the municipality responsible, which must express its opinion on the need to stop activities in progress and require the completion of a confirmatory investigation. Nevertheless, there is no way of easing the obligation to repair or compensate environmental damage caused in this matter, nor is there any kind of amnesty for whistle-blowers. Air quality standards in Brazil are regulated by CONAMA, by means of CONAMA Resolution No. 491/2018. Air quality standards are concentrations of atmospheric pollutants, which, if exceeded, could affect the health, safety and well-being of the population, as well as damage flora and fauna, materials and the environment in general. The Resolution does not specify the limits of air pollution to each activity individually, adopting general standards widely applied. Nevertheless, states are allowed and encouraged to enact their own regulations to impose standards on air emissions. According to Federal Law No. 9,605/1998, the act of causing atmospheric pollution at levels that result or may result in damage to human health, or that cause the death of animals or significant destruction of flora, may result in imprisonment from one to four years and a fine. If air pollution causes the reallocation, even momentary, of inhabitants of an affected area, penalty is imprisonment from one to five years and a fine. In the scope of the administrative liability regime, Federal Decree No. 6,514/2008 provides that the act of causing atmospheric pollution is subject to a fine ranging from 5,000 to 50 million reais. The control of air emissions is provided as a technical requirement in environmental licensing. Therefore, if the level of emissions exceeds the standard established in the licence, the wrongdoer may be subject to administrative penalties for non-compliance with conditions established in the environmental licence, such as warnings, fines ranging from 500 to 10 million reais and an even embargo on the activity, depending on the seriousness of the infraction. Federal Law No. 9,433/1997, which established the National Policy on Water Resources, establishes that the use of water resources is subject to the granting of the right of use, either for the extraction from a water body (even for human consumption), or for the discharge of effluents. The issuance of the right to use water resources is defined based on the dominance of the water resource used, being performed by federal or state entities. Federal water resources are lakes, rivers and any streams of water on land in their domain, or that span more than one state, serve as boundaries with other countries, or extend to or from foreign land, as well as marginal lands and river beaches. In these cases, the authority to issue the grant is ANA. The water quality is also disposed by CONAMA Resolutions Nos. 357/2005 and 430/2011, rules that provide the classification of water bodies and environmental guidelines for its framework, as well as establish conditions and standards for effluent discharge on water resources. According to the National Policy on Water Resources, the execution of hydraulic works and services, derivation or use of water resources of domain or administration of the Federal Union without the respective grant of the right to use water resources is considered an administrative violation. Such conduct entails the application of penalties, including warnings, fines ranging from 100 to 10,000 reais, in addition to temporary or definitive embargoes. According to IBAMA Normative Instruction No. 05/2012, maritime and interstate highway transport activity of dangerous products depends on the issuance of an environmental authorisation for the transport of dangerous products, issued by IBAMA. This means that maritime transportation and interstate transportation (by land and river) of dangerous products must be followed by this document. In addition, individuals or entities that develop the activity within the boundaries of one unit of the Federation must follow the licensing or environmental authorisation rules for the transportation of dangerous products established by the respective state environmental agency. In other words, states are also entitled to impose their own regulations on the usage and transportation of chemical and dangerous products. Moreover, depending on the material or substance, the army or the police may also issue authorisations for the production, storage, handling, purchase, transportation and sale of dangerous products. According to Federal Decree No. 6,514/2008, producing, processing, packaging, importing, exporting, marketing, supplying, transporting, storing or using a product or substance that is toxic, dangerous or harmful to human health or the environment, without complying with the requirements established by laws or regulations, can lead to fines ranging from 500 to 2 million reais. The National Policy on Solid Waste, established by Federal Law 12,305/2010, aims to set principles, instruments, guidelines, goals and actions to enable the integrated management of waste, except radioactive waste, which is regulated by specific legislation. The concept of waste management follows the order of priority of non-generation, reduction, reuse, recycling, treatment and environmentally appropriate disposal. One who generates waste in its industrial process is therefore responsible for its segregation, storage, transportation and final disposal, and may be required to repair any kind of environmental damage therein related. By means of the concept of shared responsibility, instituted by the National Policy on Solid Waste, tasks and costs involved in the different stages of solid waste management are distributed throughout the production chain to the extent of liability of each of the parties involved. Therefore, although the liability for repairing damage to the environment in the civil sphere is joint and several, which means regardless of factual fault, management of waste also observes this distribution of burden among its product chain. By means of the civil liability regime, hiring third parties to perform any of the phases of solid waste management, such as the environmentally appropriate final disposal, does not exempt the contractor from being held liable to repair or indemnify for environmental damage. The same imposes a reverse logistics system, which consists of an instrument characterised by a set of actions, procedures and means to enable the collection and restitution of solid waste to the business sector, for reuse, in their cycle or other productive cycles, or other environmentally appropriate disposal. The reverse logistics system applies to manufacturers, importers, distributors and traders of pesticides, batteries, tires, lubricating oils, packaging, lamps and electronic products. Therefore, these agents are obliged to structure and implement mechanisms to return the residues of these products after their use by consumers for reuse in the production process or other environmentally appropriate disposal. In the same vein, the Brazilian government enacted Federal Decree No. 9,177/2017, a rule that specifically enhances this already-existing compulsory reverse logistics system, in accordance with the National Policy on Solid Waste, and specific rules for key sectors, such as pharmaceuticals, are currently being discussed. According to Federal Decree No. 6,514/2008, anyone who causes pollution by means of improper waste management may be subject to a fine of up to 50 million reais. In the criminal sphere, according to Federal Law No. 9,605/1998, one who causes pollution may be subject to imprisonment from one to four years. All of these penalties (both administrative and criminal) may be applied regardless of the obligation to repair any environmental damage in the civil sphere. Contamination of soil and groundwater triggers environmental liabilities and, as already highlighted above, any legal claim for reparation or indemnification of environmental damage is not subject to any statutes of limitation. Contaminated areas are classified as areas where there is evidence of pollution caused by disposal, accumulation, storage or infiltration of substances or residues, implying negative impacts on soil or groundwater. The detection of contamination requires actions by governmental agents, entities that caused contamination and previous or current owners. In this regard, corrective measures should be applied in order to establish levels of quality compatible with a certain future use (i.e., residential, commercial or industrial uses). At the federal level, CONAMA Resolution No. 420/2009 provides criteria and guiding values of soil quality for the presence of chemical substances and establishes guidelines for the management of contaminated areas as a result of human activities. According to Brazilian environmental legislation, the owner and possessor of a contaminated site may, regardless of fault, be held liable and compelled to perform the remediation and recovery of the environment. In other words, environmental liability for contaminated areas follows the general rule in which one may be held liable regardless of fault (joint and several liability regime), besides being a propter rem obligation (attached to the property). Parties can contractually allocate such liability by means of private agreements, but contractual provision does not affect their liability in relation to public authorities on public civil actions. Nevertheless, private contracts can only direct the discussions on the right of redress among them. As stated previously, causing pollution of any kind that results or may result in damage to human health by means of a contaminated area is considered an administrative violation punishable by fines of up to 50 million reais in the administrative sphere, notwithstanding the criminal liability in which individuals may be imprisoned from one to four years. All of these penalties (both administrative and criminal) may be applied regardless of the obligation to repair any environmental damage in the civil sphere. Brazil is a party to the UN Framework Convention on Climate Change (UNFCCC) and is also a signatory to the UNFCCC International Climate Change Agreement (Paris Agreement), which was signed by Brazil in December 2015, ratified in September 2016 and recently transformed into a federal law by means of Federal Decree No. 9,073/2017. For this reason, Brazil is therefore obliged to comply with the goals that the local government proposed in the Agreement (nationally determined contributions (NDCs)), such as reducing greenhouse gas (GHG) emissions by 37 per cent below 2005 levels by 2025. To achieve these goals, Brazil committed itself to increase the share of sustainable biofuels in the local energy mix to approximately 18 per cent by 2030 (and, at the same time, to achieve a total amount of 45 per cent of renewables in the same energy mix) and also restore and reforest 12 million hectares of forests. Focusing on the importance of biofuels to attaining the Paris Agreement goals, in December 2017, Federal Law No. 13,576/2017 was published. The Law institutes the National Biofuels Policy, RenovaBio, establishing principles, objectives, rationales and instruments. It also contemplates the Biofuels Certification, goals for reduction of GHG emissions for the fuel sector, and issuance and negotiation of decarbonisation credits. Subsequently, in June 2018, the National Energy Policy Council published Resolution No. 05/2018, setting the annual mandatory goals for reduction of GHG emissions in the fuel sector for the following 10 years (2018 to 2028). While the Kyoto Protocol was still valid, Brazil performed a leading role in the trading of allowances derived from clean development mechanisms, registering more than 2,500 projects during that period and also enacted its own National Policy on Climate Change (Law No. 12,187/2009), national main legislation that has established a voluntary commitment to achieve a GHG emissions reduction of between 36.1 and 38.9 per cent by 2020 (however, such commitment shall be reviewed because of the new goals set for Brazil in the Paris Agreement). Several Brazilian states have also enacted their own state policies. Markets in the trade of carbon allowances within the country are in operation; however, at present these are just minor initiatives. The Paris Agreement is expected to boost initiatives from public authorities, expand local markets, stimulate mitigation and adaptation measures, and relevant private and public funding mechanisms. The next steps taken by the country to tackle climate change will depend on the recently elected federal government, with a new president and Congress for the 2019 to 2022 quadrennial. In any case, owing to the goals that Brazil committed to achieve in the Paris Agreement, biofuels, deforestation and land use activities, such as agriculture, are a key focus for actions to be developed by Brazil to satisfy its GHG reduction targets. Federal Decree No. 9,179/2017, which amends Federal Decree No. 6,514/2008 and provides for the Environmental Fines Conversion Programme, aiming to convert fines imposed by the federal environmental agency into services of preservation, improvement and recovery of the quality of the environment. With special reference to the New Forestry Code, in February 2018, the Brazilian Supreme Court ruled on five lawsuits that challenged the constitutionality of several of its provisions. Except for a few expressions deemed unconstitutional, the Court held that most of those provisions were constitutional and determined the interpretation to be adopted of some of them, putting an end to a long-lasting debate. a rise in environmental litigation cases, pushed by the public prosecutor's offices and environmental authorities on solid waste, contaminated lands, licensing, forestry and climate change issues. 1 Lina Pimentel Garcia and Luiz Gustavo Bezerra are partners and Viviane Otsubo Kwon and Meg Ferreira Cirilo are associates at Mattos Filho, Veiga Filho, Marrey Jr e Quiroga Advogados.